New Year and Christmas led me to think about “how much food is thrown unnecessarily?”. Usually we prepare food in large quantities, because the human eye is greedy and the table should be full (overfull) no matter that only half of what is served will be eaten, and the rest will end up in garbage bins. Let’s not forget that while we behave irresponsibly with food many people barely manage to get one meal per day. Have you ever wondered how much food is throw it in the world daily? This is what data says – in America just in 2010 are throw away 34 million tonnes food and only 3% from that are recycled or reuse, remaining 33 million tons ended up in landfills or in ovens for destruction. In addition the above figures, the average American family unnecessarily throws usually 600$ from its budget by unused food that ends up as waste. This is something which forces me to think about … what about you? The situation in the EU is worrying, too. Figures show that in EU 89 million tons of foods, which is 179 kg per capita, are thrown away annually. The EU institutions aware of the magnitude of the problem has already taken steps to overcome it. The European Parliament called in a resolution adopted on 01/19/2012 for urgent measures to halve food waste by 2025 and to improve access to food for needy EU citizens. Today, food represents the largest percentage of solid waste, which is normal because there is no life without food. If we approach to this problem with bigger awareness and change our habits we will have both environmental and economic benefit. Food waste will be significantly reduced if we do our buying with plan for necessary stuff for next few days not by grabbing everything we see on the markets. At the same time, more money will remain in our wallets that could be spent for other purpose or need. – food can be given to those who need it, certainly if still usable. In our country there are many poor families and public kitchens where such food may well be used. – food could be used for production of quality compost without pesticides and other chemical. With proper treatment can prepare high quality food without additives for domestic animals. Previously we have written post how to prepare compost. 1. if the tomatoes have started to soften in refrigerator, don’t wait to rotten but crumble them in minor pieces and cook them. That is how you will prepare tomato sauce which can be used in preparation or as a dressing for other meals. 2. by the rice that you have prepared as a side order for lunch could be prepared delicious and nutritious meal with simple adding of vegetables and some spices. Such examples are so many, our grandmothers and mothers used them quite often in the past, but unfortunately we are forgetting this. It is easier for us to get rid of food by throwing it in the trash. It would be nice if examples what I mention could reach people from commercial facilities, too, and food what is prepared in restaurants daily or food with close deadlines – from the shelves of supermarkets and retail markets, will not became a part of the municipal waste. Therefore, in future, when you will go to purchase some food think if it is really necessary to buy that food that or you could go home without it, or if you have some food leftovers how would you treat it and where it will end. Association for Green Society – Greener is a member of Clean Up the World. Now in its 19th year, Clean Up the World, held in conjunction with the United Nations Environment Programme (UNEP), mobilises an estimated 35 million volunteers from 130 countries annually, making it one of the largest community-based environmental campaigns in the world.Clean Up the World 2011 theme – Our Place… Our Planet… Our Responsibility – highlights how local action – taken by every community and volunteer partaking in a Clean Up the World activity – has a global impact. 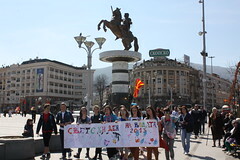 The campaign’s flagship event is Clean Up the World Weekend, held on the 3rd weekend in September each year. In addition to uniting millions in global environmental action, Clean Up the World Weekend serves as a celebration of participants’ year round activities. By promoting their achievements internationally, Clean Up the World focuses public attention on global community concerns for the environment and how each individual can make a positive contribution to a cleaner and healthier world. Association for Green Society – Greener in support of Clean Up the World Weekend 2011 is doing activity in category “4 R’s/Waste”. It is public event for raising awareness about e-waste named “E-waste – problem we must find solution for”. Although this month started under the impressions of The European Basketball Championship of 2011 we’ll still keep the line of green living. Somehow September is the month when preparations for the winter and autumn cleansing traditionally begin, so our goal is to make you think about what you’re doing with unnecessary stuff from your home. Therefore, under the motto “cleaner.” we devote this month to waste management and its importance. 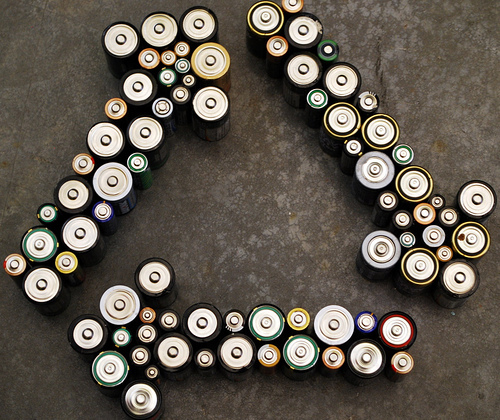 During September expect activities and posts dedicated to e-waste, waste batteries, plastic wastes, etc. For start up, keep in mind that careful waste management minimises negative effect on the environment & human health. In this context, is there any topic you’d like to read about?